Philadelphia, PA and Main Line dentist, Dr. Vito is pleased to offer clear braces or invisible braces. Invisalign and ClearCorrect are the two viable substitutes for adults looking to have orthodontic treatment without the use of unsightly wires and brackets. Clear braces or invisible braces are the latest in cosmetic orthodontic treatment. Dr. Vito was one of the first restorative dentists trained and certified in the use of Invisalign orthodontics, which is offered in his Wayne, PA office serving the Main Line and Philadelphia, PA areas. Nearly invisible – Aligners/trays are made of a strong, see-through, medical-grade plastic that allows your orthodontic treatment to go unnoticed. 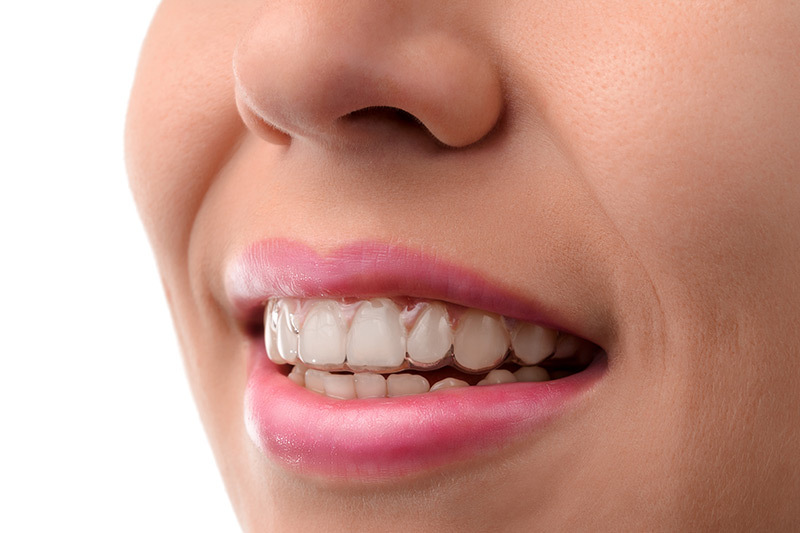 Comfortable – Aligners/trays are much more comfortable than braces or other orthodontic treatments. Less time in the office – Because the aligners are precision-made by machines, you spend less time receiving adjustments and more time living life. 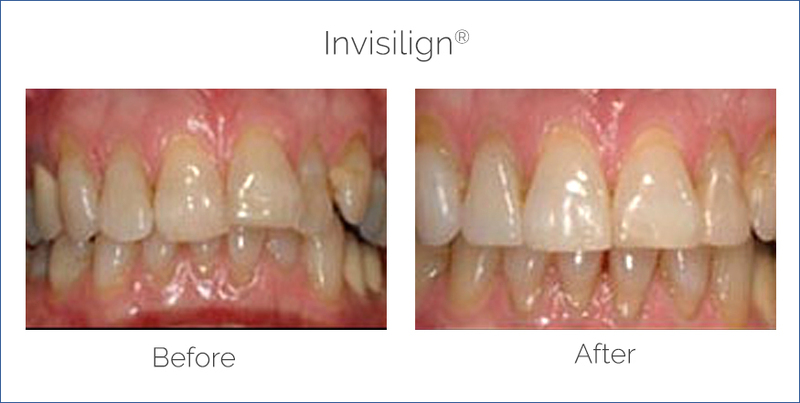 Virtually Invisible Braces ~ Your Perfect Smile Awaits. Using 3-D CAD CAM imaging technology, aligners are custom made to fit your teeth and guide teeth seamlessly to their new position. Invisible braces orthodontic treatment takes the same time as conventional orthodontics and can be used in over 85% of those cases that are currently being treated with conventional orthodontics. You wear each set of aligners for about 1-2 weeks, removing them only to eat, drink, brush and floss. As you replace each aligner with the next in the series, your teeth will move little by little, week by week – until they have straightened to their final position. You’ll visit us about once every 6-8 weeks to ensure that your treatment is progressing as planned. Total treatment time averages 9-15 months and the average number of aligners during treatment is between 18-30, but both will vary from case to case. Braces and Invisalign were both designed to straighten teeth while improving your smile and oral health. Braces consist of metal brackets that are glued to your teeth and tied together by wires and tiny rubber bands. Invisalign is designed to be invisible. Aligner trays are made of smooth plastic that is worn over your teeth to gently move your teeth. Dr. Vito will use X-rays, pictures and impressions to create a precise 3-D image of your teeth and to configure your aligner trays accordingly. Need to schedule a routine cleaning? For more information on Invisalign, ClearCorrect, or Invisible Braces in the Philadelphia, PA and Main Line area, call Dr. James Vito today (610) 971-2590.